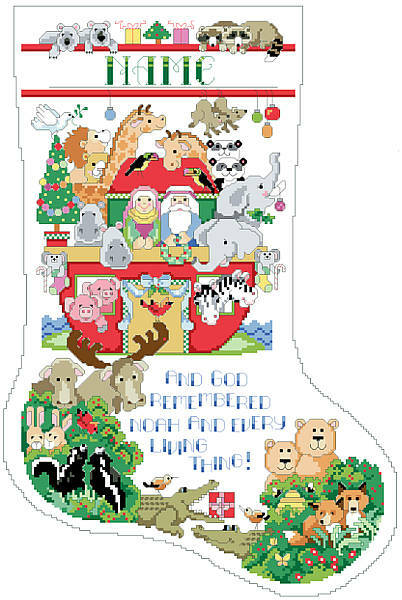 Inspired by Noah’s legendary ark, this colorful stocking features the smiling faces of God’s creatures! Mix and match with all of our classic Kooler nursery décor. Contents: Stitch Count 143w X 222h, finished size on 14 ct, 10-1/4" X 15-3/4"